Atlantic City is selling off city-owned properties as it tries to stabilize its finances. On July 14, a sealed-bid sale is set for the Riverside parcel,which is on the highway leading to the casinos in the Marina district of the city. A live auction of 120 other properties is set for June 23. There's a bit of a fire sale going on in Atlantic City as the financially struggling town struggles with its crimped budget and oversized payroll. Beginning at noon Wednesday, there are information sessions on the auction sale of 120 city-owned properties every 15 minutes at City Council Chambers in City Hall, 1301 Bacharach Blvd. Don't worry: there's another information session on June 8 at the same location, during the same hours. 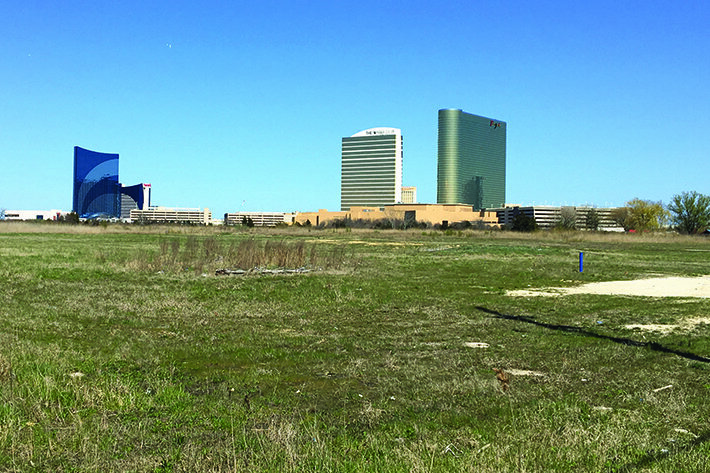 On June 23, 120 residential and commercial properties will go on sale in a live auction by Max Spann at 11 a.m. at the Atlantic City Convention Center. Some individual residential properties have as little as a $100 minimum bid. The land sales are meant to provide an immediate cash infusion to the financially beleaguered city, plus return idle properties to the tax rolls. Other bundled parcels – there are 61 separate offerings – top out at $101,800 as a starting bid. That's for pretty much an entire block bounded by Arctic, North Carolina, Baltic and Mansion avenues. There is also a sealed-bid auction for a large parcel known as Riverside on July 14. The 10.43-acre waterfront property on Route 30 is on the way into town and offers waterfront and highway access. Bader Field was also set for a sealed-bid sale on July 14, but The Press of Atlantic City recently reported that sale could be on hold. The long-shuttered in-town airport on 143-acres has a $155 million minimum, and all money was earmarked toward paying down the city’s $437 million debt. The Max Spann company did not immediately respond Wednesday to a request for comment regarding the status of the sale of the airport.